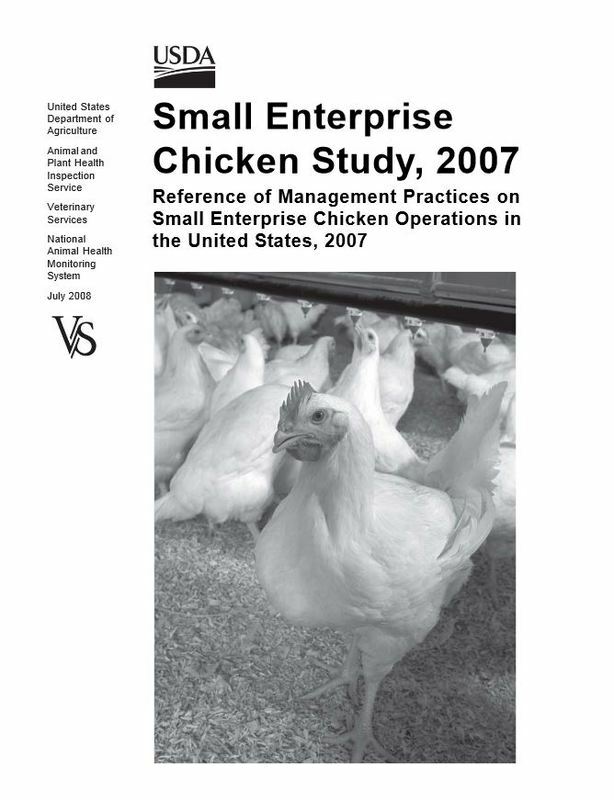 The Small Enterprise Chicken Study, 2007 is NAHMS’ third study of the poultry industry. 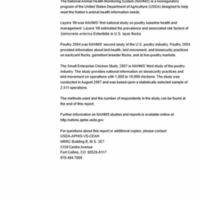 The study provides national information on biosecurity practices and bird movement on operations with 1,000 to 19,999 chickens. 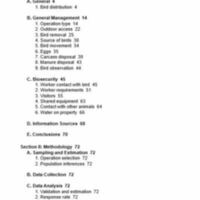 The study was conducted in August 2007 and was based upon a statistically selected sample of 2,511 operations.